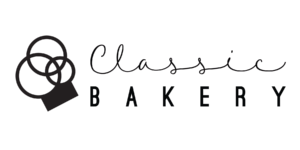 Classic Bakery is a small, family owned artisan wholesale bakery dedicated to the traditional art of baking Eastern European pastries and bread products. We take pride consistently producing a high quality product while maintaining competitive price points and service. We’ve had the pleasure of delivering our unique products to a number of the DC area’s finest establishments. We are committed to sourcing the highest quality ingredients from all over the world, like chocolate from Bruges, Belgium, cocoa butter from Northern Switzerland, praline from Western France, and milled flour from the great State of Minnesota. We use as little machinery as possible in our production, relying instead on well trained, experienced hands while preserving the true craft of artisanal baking. We believe that our passion for baking roots from our 65 years of family tradition, and our commitment to quality shows in every Classic Bakery product. We look forward to introducing you to our product line of hand made baked goods, pastries, and desserts.